October boat show time in Annapolis is Painkiller time, and for good reason. Blend everything except the nutmeg. Pour into a tumbler full of ice. Garnish with a slice of orange and a red-dyed cherry if you must. Dust with grated nutmeg, the second most critical ingredient. For boat builders and vendors, a Painkiller or two is prescribed medicine to carry one through the marathon of entertaining the crowd, and evenings of schmoozing inside of the boat-industry networks. For boat show guests, Painkillers fuel the celebration of being a part of the recreational maritime culture, and research has shown that a couple of four-ouncers will produce the necessary courage to write the deposit check. The formula was originally concocted in the 1970s at the legendary Soggy Dollar Bar, “a sunny place with shady people,” on the White Bay beach at the Sandcastle Hotel on Jost Van Dyke in the British Virgin Islands. 31, 1970, the unofficial end of the empire’s nautical dominance, some might argue. 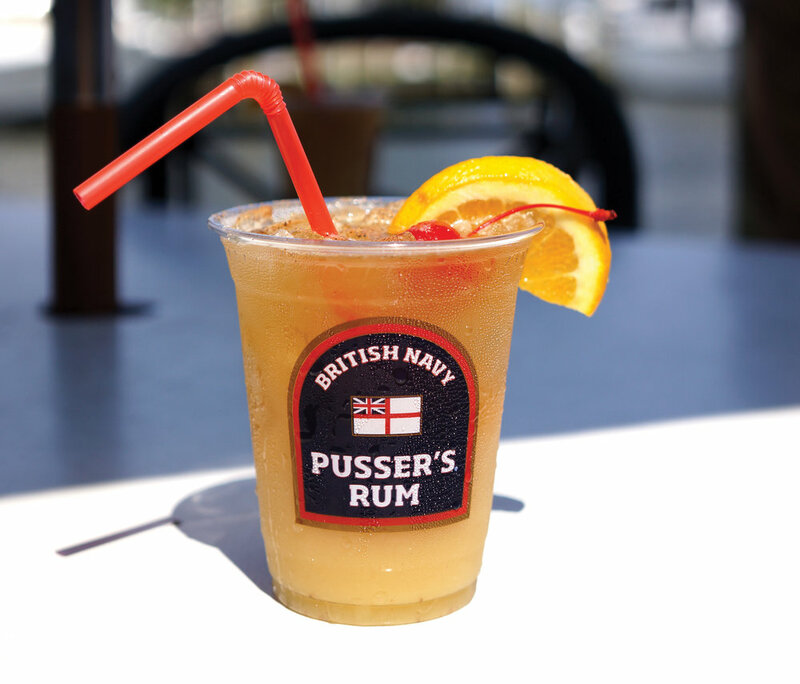 Newcomers to Annapolis will notice, and veteran boat show goers know, that Pusser’s Caribbean Grille abuts the show and one of the main ramps along Ego Alley into the show. Thus, if you make that your exit, a painkiller in hand is easy to acquire with a fist-full of soggy dollars on your way out, or back in, and back out again and again.